While we are in full swing for hurricane season 2018, we are still busy documenting roof conditions from last years storm that hit Florida. 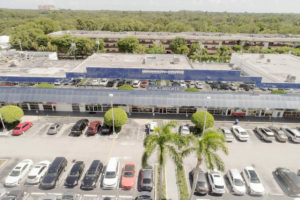 This particular project is for a commercial shopping center down in Coral Gables, FL. We were asked by the legal team representing the property owner to provide aerial documentation of this low sloped roofs present condition by capturing visible photos and video with the drone. Deploying drones to document roofs is kind of like a doctor using a CT machine to identify problems in the body. CT scans often identify tumors and other problems first. But, just because you see it in the image does not confirm whether it is cancerous or benign. The doctors job is then to get a biopsy to study its composition and determine the severity of what was spotted in the scan. 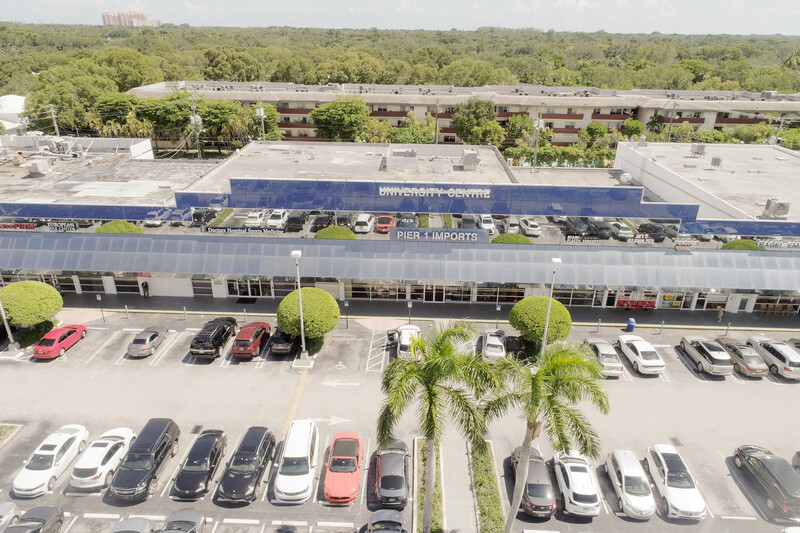 When we provide aerial imagery for, think of it like the doctors request to get a CT scan done on the roof. We help identify and document potential problems for the engineer to follow up and physically inspect, confirming what we were able to identify. We are thorough in our process as the purpose is to capture valuable documentation providing the ability to review and inspect the images in detail from a perspective allowing you to view the entire roof systems, sections at a time, and zoomed in on the details of problematic areas. We start out by capturing an overview of the entire roof system. Orbiting the building, we capture images of the 4 corners and sides as well as a shot from directly overhead. 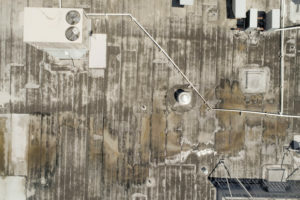 These images help give you a bigger perspective of the roof and its present condition. 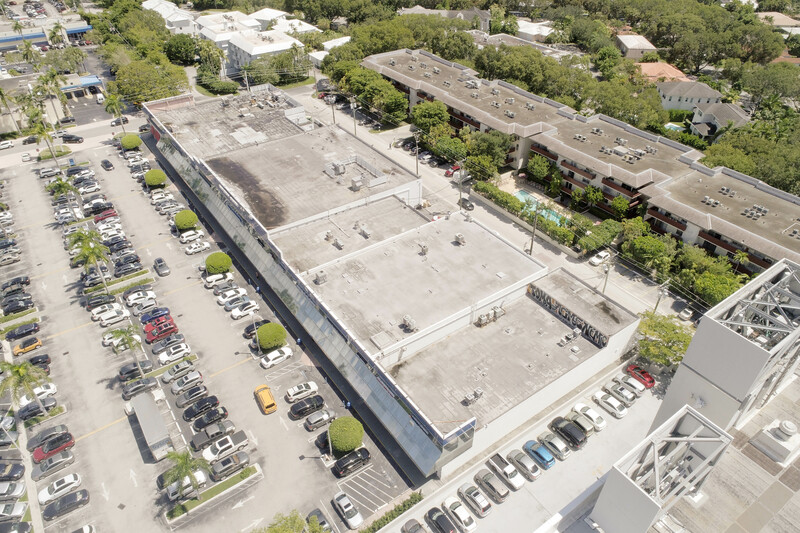 Having the higher view of the roof often helps when reviewing the more zoomed in images and correlating issues with the bigger picture. Once the overview of the entire roof is completed, we then come in a little closer. Focusing section by section, we orbit the building from the outside, from the middle (pictured left) and close up direct overhead to capture various angles of the condition of the roof. This allows you to get a good perspective over conditions at a closer up view but doesn’t allow you to look for minor problems or defects that allow water penetration. Finally, we capture up close images allowing you to inspect for defects and small issues on the surface. The images are systematically captured making it easier to understand where the identified issues exist on the roof without getting lost on the roof from an image that is zoomed in to much. 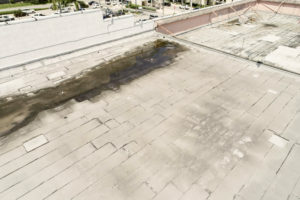 Even though the images are high resolution and relatively close up, on commercial roofs, it is still incredibly difficult to find where punctures or surface problems exist. Ponding water, depressions in the roofs surface, build up of dirt and debris and other problems often indicate possible problems. When we get back to the office, its time to post process and organize our images and video to make it easier to understand where the images relate to the entire roofs structure. 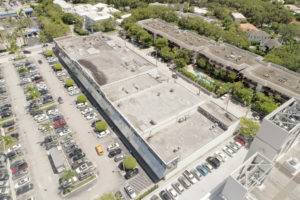 After touching up the images, we add a watermark that includes the address, building number, date and time stamp to ensure there is no confusion as to when the roof was documented. Detailed documentation is crucial when building a case for or against the present condition of a roof in litigation or when trying to determine what the extent of damage is for considering an insurance claim or payout. Visible imaging is a great resource to document the condition of the exterior of a roof. To learn more about how we can help you document roof conditions for various situations anywhere in the country, give us a call at (214) 842-6000 today!